In February last year, Indian Army soldier Lance Naik Hanamanthappa Koppad made global headlines after he was rescued alive after six days under nearly 30 feet of avalanche ice at the Siachen Glacier. The riveting tale of survival, one that captivated a world audience at the time, did however overshadow other tales of survival in the same incident. 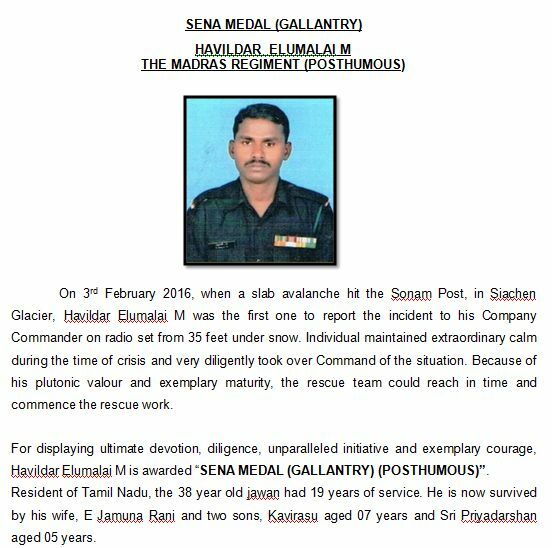 Two soldiers, Sepoy Rama Moorthy N. and Havildar Elumalai of the 19 Madras infantry unit, whose own courage remained undocumented at the time, received posthumous gallantry decorations from the Army this week. As it happens, the first harrowing and detailed account, based on the only interview with the officer who led the operations centre at Siachen Base Camp, features in the new book India’s Most Fearless, co-authored by Livefist’s Shiv Aroor and Rahul Singh of Hindustan Times. 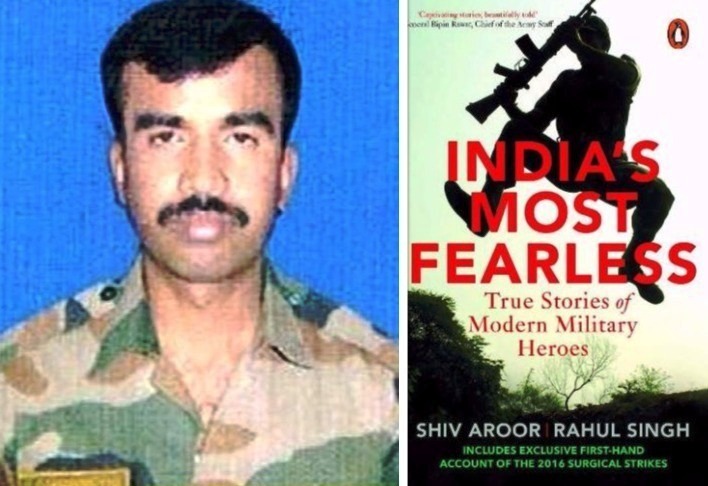 The book, which also features the first ever interview with the Army Major who led India’s anti-terror surgical strikes across the Line of Control, will be released later this month in Delhi. 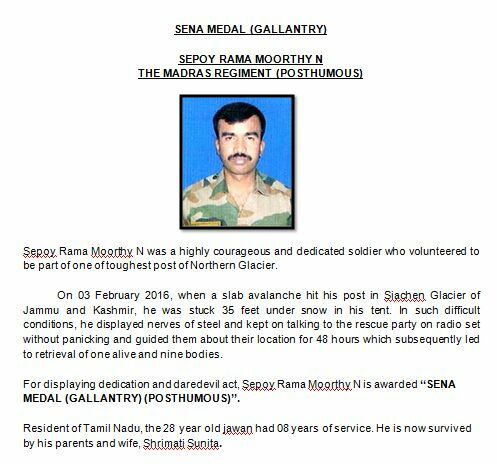 The chapter on the stunning rescue operation at Siachen in February 2016 is the most detailed account to date on the miraculous survival of Hanamanthappa, but Sepoy Rama Moorthy before him. An excerpt from the book. The men saw and heard nothing as they continued to dig and scour through the icy debris on 4 February. Trained not to yield to despair even in the most hopeless conditions, the rescue teams could not help but be skeptical about the men surviving a full day under all that ice. Was this really a race against time any more, or simply an exercise to find 10 corpses? It did not matter. 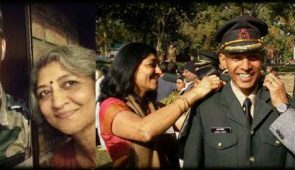 The Indian Army never leaves its men behind. Then, when they were least expecting it, a radio set with one of the rescuers crackled, a broken voice emerging from it. It was Sepoy Rama Moorthy N. Like Havildar Elumalai the previous day, the sepoy from Gudisatana Palli village in Tamil Nadu had managed to find his radio and make a call. The rescue team had not been able to raise a sound out of Elumalai since they arrived on the scene, making them fear the worst, but not slowing them down. The call from Rama Moorthy exploded through the rescue team at Sonam Post, dusting every bit of despair from their shoulders. These are the official award citations on the two soldiers. This shows the grit and determination of the men from the Indian Army. Every day there are countless stories of courage from an Army that is continuosly deployed on CI to disaster relief to law & order duties .